Our Goal: To share ideas that will help us achieve the best possible learning environments for all students at all levels of education. 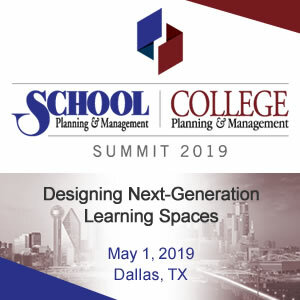 Education Design Showcase is a resource for administrators, architects, facility planners and others involved in the planning, design and construction of education facilities nationwide. It is designed to be a vehicle for sharing innovative, yet practical, solutions in planning, design and construction. Included you will find extensive project information as well as narrative that describes the projects unique features, special challenges and solutions, and how the educational needs were met through the building design. The showcase features instructional, administrative and service facilities for public, private and parochial schools of all levels, up to and including technical, 2-year colleges, and 4-year colleges and universities. New buildings, renovations, additions, restorations and adaptive reuses are included. Projects may reflect an entire education entity or a specialized facility, such as a media center, food court, sports facility, childcare center, residence hall, etc. The award winning projects displayed were evaluated by a jury of administrators, architects, and facility planners for excellence in design and functional planning directed toward meeting the needs of the education program. Each year the jury selects two Grand Prize winners – one from K-12 categories and one from higher education categories. Honorable Mention and Project of Distinction designations are also awarded. If you are interested in being included in the Education Design Showcase, we invite you to submit an entry form for your project.